Porter a Confederate Lady Paul Revere. The colorful lives of Sophia and Holland Coffee came together in 1837 probably while Coffee served in the Congress of the Republic of Texas. Sophia was born a Suttonfield in 1815 on the remote military post at Fort Wayne (present Indiana). As a beautiful dark-haired girl of seventeen, she ran away with Jesse Aughinbaugh, the headmaster at her school. The twosome split up in Texas—Sophia said he deserted her—in 1836 and Sophia, who told many stories about herself, claimed to be the first woman to reach the battle site at San Jacinto. She arrived on April 22, 1836, the day after Texas won its independence from Mexico. 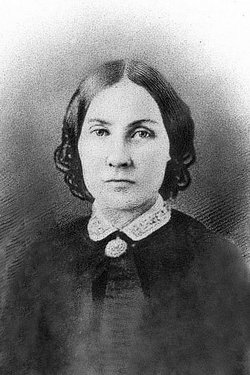 Although no record exists of their relationship in Sam Houston’s published letters or biographies, Sophia maintained that she nursed the wounded general back to health. Some historians believe she may have been a camp woman who sold her services to the general. Holland Coffee established his trading post in the early 1830s on the Indian Territory (present Oklahoma) side of the Red River and moved to the Texas border in 1837. The historical marker says Coffee traded with the Indians for many white captives. Coffee ransomed a Mrs. Crawford and her two children by paying the Indians 400 yards of calico, a large number of blankets, many beads, and other items. In later years, Mrs. John Horn wrote that when Comanches refused to trade for the release of her and her children, Holland wept and then gave her and the children clothing and flour. Despite being accused by settlers of trading whiskey and guns to the Indians for cattle and horses they stole from the whites, his neighbors must have forgiven him because they elected him as their congressman. When Sophia failed to get a divorce from Aughinbaugh through the courts in Houston, she petitioned the legislature to intervene on her behalf. After several attempts to get a bill through Congress, Sam Houston, President of the Republic of Texas, used his influence and the petition passed both houses with Holland Coffee as a member of the House of Representatives voting aye. Coffee and Sophia took a 600-mile honeymoon on horseback through Washington County, to Nacogdoches, and along the Red River, stopping at several locales to attend balls in celebration of their marriage. Coffee settled with his bride at his trading post, a popular place for Indians and for cowboys heading north with their cattle. Coffee gave Sophia a wedding gift of one-third league of land––about 1,476 acres—only the first of her many acquisitions. In her later accounts of life on the Red River, Sophia said her nearest neighbor lived twenty-five miles away. Because of the constant threat of Indian attacks, the Texas Rangers guarded their trading post. While their slaves plowed the fields, the horses had to be watched. At preaching services, they stacked firearms nearby for easy access. The Republic of Texas built a protective line of forts along the western edge of the frontier and connected them with a Military Road from Austin to Fort Johnson on the Red River near Coffee’s Trading Post. The military base bought supplies, clothing, tobacco, gunpowder, and tools from Coffee, which injected new life into his business. He opened a ferry at a crossing on the Red River and he and Sophia continued to buy land and slaves. New settlers arrived, and in 1845 Holland sold town lots for the town of Preston. In 1845-46 Holland Coffee hired Mormons traveling from Illinois to Central Texas to build Glen Eden, a home that expanded over the years into the most impressive house in North Texas. Sophia entertained lavishly. By her own account, her guests included such notables as Robert E. Lee, Ulysses S. Grant (no record exists of either man being there), and Sam Houston. Men from nearby Fort Washita in Indian Territory came often to Glen Eden. Stories vary about how Coffee died in 1846. Some say it began when Sam Houston arrived to dedicate the new county courthouse in nearby Sherman and planned to stay with the Coffees at Glen Eden. 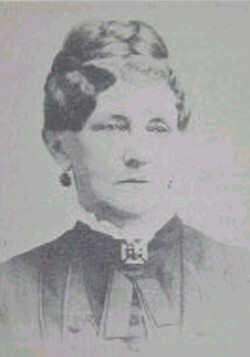 Coffee’s niece had married Charles A. Galloway who offended Sophia by commenting about her former relationship with Sam Houston. She demanded that Coffee horsewhip his new nephew. When Coffee refused to publically air the family problems, Sophia said she would rather be the widow of a brave man than the wife of a coward. Coffee started an “Indian duel,” a fight to the death, with Galloway who killed Coffee with a Bowie knife. A rich and charming widow of a brave man, Sophia, at age thirty-one managed the 3,000-acre slave plantation, tended her extensive gardens, and continued to host grand parties. On one of her regular trips to New Orleans to sell her cotton crop, she met Major George N. Butts, who returned with her to Glen Eden to manage the plantation. There is no record of a marriage in either Texas or Louisiana, but the relationship became Sophia’s happiest—Butts enjoyed the niceties of gracious living—and they paid for their lifestyle with the sale of their cotton and land. They enlarged Glen Eden, filled it with fine furnishings and china from New Orleans. She became known for her rose garden, an orchard of more than a hundred fruit trees, and grape and berry vines for jams and wines. She grew a magnolia tree in the front yard from a seedling given to her by Sam Houston. Albert Sidney Johnston brought catalpa seeds from California, which she planted, in a line down the driveway. In 1863, William Clark Quantrill with his group of Confederate guerrillas from Kansas and Missouri moved into Sherman and began robbing and killing anyone who did not agree with Quantrill’s brand of Confederate support. Although Sophia and Butts were southern sympathizers, Butts got into an argument with one of Quantrill’s men and was ambushed one night as he returned from a cotton-selling trip to Sherman. Sophia garnered the sympathy of Sherman residents against Quantrill and got him arrested; he later escaped. Some historians say the historical marker calling Sophia Coffee Porter a Confederate Lady Paul Revere may not be altogether accurate. Several tales surround this claim, most of them of Sophia’s own telling. One story says that when James Bourland, commander of a Texas frontier regiment, stopped at Glen Eden on his way back to Fort Washita, he warned her that federal troops were following him. When the Yankees arrived, Sophia fed them dinner and took them to her wine cellar where they proceeded to get drunk. She locked them in the cellar and then, riding a mule, forded the treacherous Red River to warn Bourland of the Union’s plans, thus preventing the invasion of North Texas. Another version of the story says she stripped to her underwear and swam the river and then whistled to get the Confederates’ attention. At age fifty, toward the end of the Civil War, Sophia found the Red River country too dangerous. She packed her gold in tar buckets and took her slaves with her to the safer environment of Waco in Central Texas. There, she met Judge James Porter, a Confederate cavalry officer from Missouri. Rufus Burleson, president of Baylor College performed their marriage on August 2, 1865, and the Porters returned to Glen Eden. With her slaves freed, Sophia’s net worth dropped, but she and James Porter began buying land at sheriff’s auctions and reselling it quickly to increase their holdings. James Porter apparently influenced Sophia’s desire to “get religion.” She attended a camp meeting and rushed forward throwing herself at the feet of the preacher. Before the entire congregation, the minister said Sophia must wait for twelve years because “the sun, moon, and stars were against her being a Christian.” The Methodist preacher in Sherman, however, welcomed her into the church. She gave a section of land to Southwestern University, a new Methodist institution at Georgetown and land for a Methodist Church at Preston Bend. “Aunt Sophia,” as she became known in later years, apparently earned the respect of her neighbors. At the first meeting of the Old Settlers Park in Sherman in 1879, Sophia Porter entertained the crowd with the stories of her life as a pioneer woman along the Red River. the shops in nearby Denison and Sherman and ordered from catalogs new fashions that would restore Sophia’s youth. Mrs. Evans also applied Ayer’s Hair Dye each week to maintain Sophia’s black locks that had attracted so many suitors over the years. On August 27, 1897, when Sophia died quietly at the age of eighty-one in her fine home of fifty-four years, the man at her side was Reverend J. M. Binkley, the Methodist preacher from Sherman who had accepted her into his congregation. Born into slavery in Arkansas in 1845, Nelson Taylor Denson moved, at age eleven, to Falls County in East Texas with his master. 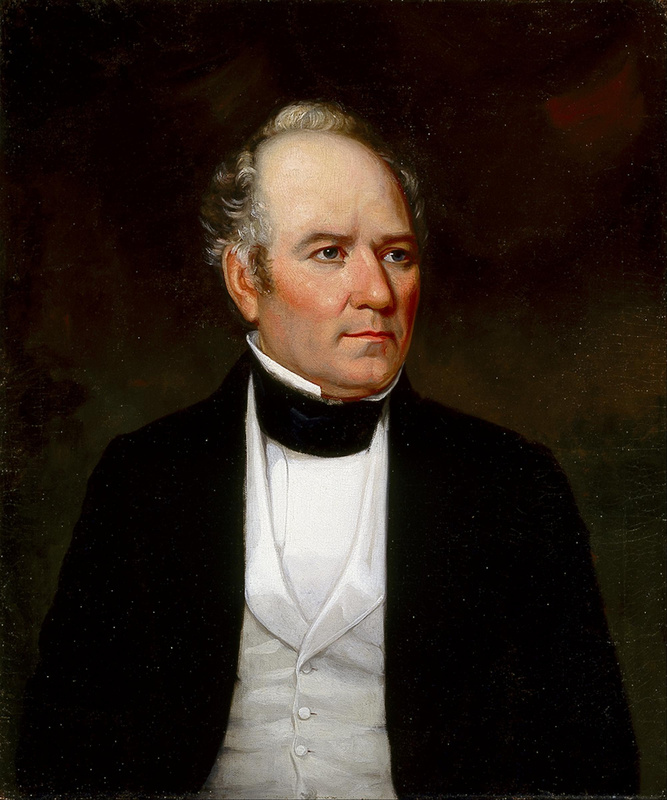 Denson, who had been educated by his master, developed high regard for Sam Houston after hearing Houston speak when he visited Marlin in his campaign for governor. During the Civil War, Denson accompanied his master in the Confederate Army, serving as a saddle boy looking after the horses. An account titled Slaves Narratives—Rural NW Louisiana African American Genealogy includes Denson’s account of the Civil War in which he praises Sam Houston for standing by his principles and refusing to take an oath of loyalty to the Confederacy, which resulted in Governor Houston being removed from office. Denson says he that at age sixteen he went to war as his master’s “bodyguard.” In his gripping account of the night before the Battle at Mansfield on the Sabine River, he describes the sound of whippoorwills calling and the low mummer of the men singing spirituals and listing for an attack from the Yankees camped just across the river. Denson views the slaves who ran away and joined the Union forces as not properly caring for the women and children left behind on the plantations. He goes on to share his concern after the war for the change in the “old order,” and the decline in virtue and chivalry. After the Civil War, Denson returned to Falls County as a free man and began working to fulfill his two dreams—to preach and to teach. Incorporating a deep understanding of human needs and rights, Denson became a circuit preacher in the Baptist denomination. On November 8, 1868, the Reverend Denson, his wife, and eleven other blacks organized the Marlin Missionary Baptist Church, the first black congregation in Falls County. Denson believed that black citizens must have the basic rudiments of education, which led him to teach the fundamental skills of reading, writing, and arithmetic. He helped start a school sponsored by the Marlin Missionary Baptist Church, and others soon followed. By the mid-1880s Denson won election as county commissioner, becoming the first black official in the county. His good judgment and spirit of cooperation won the respect of both the black and the white communities, and he continued to be respected and called on for advice and counsel until his death in 1938 at the age of ninety-three.